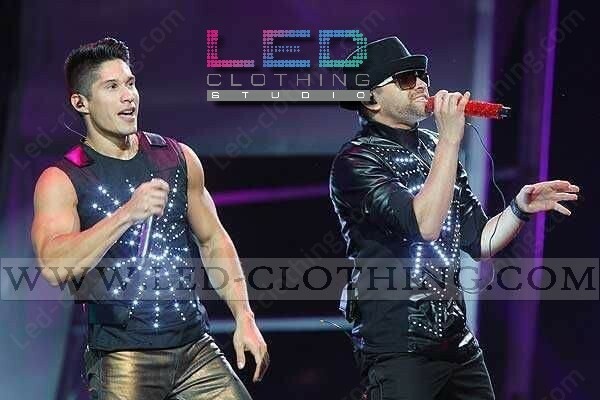 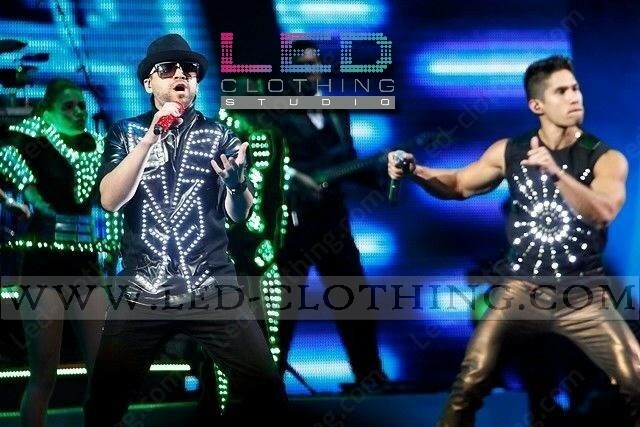 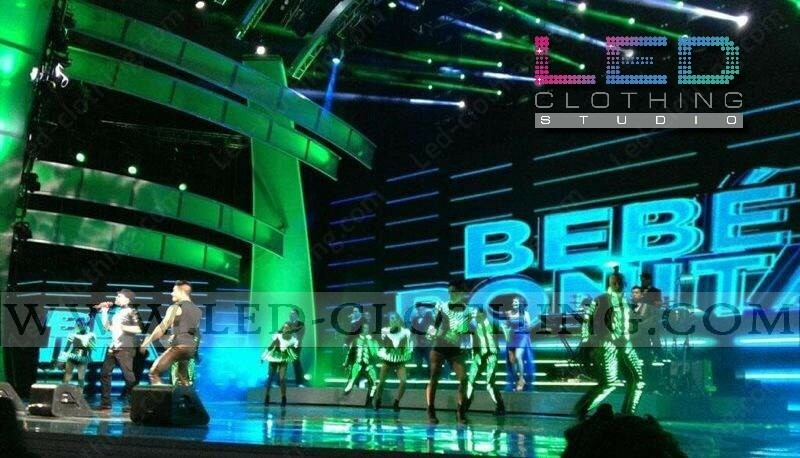 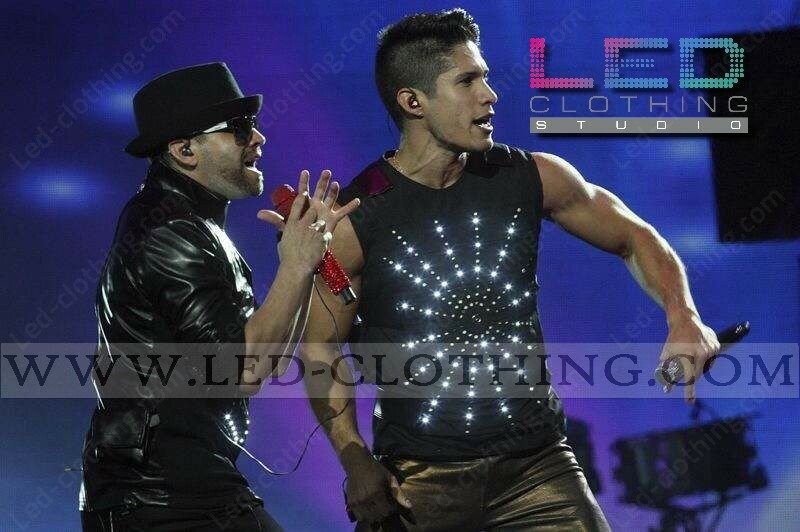 LED jacket & LED vest for Chino and Nacho | LED Clothing Studio Inc.
One of our first big stage projects, LED suits for an outstanding dancing troupe of Chino and Nacho and exclusive LED jacket and vest for the stars themselves. 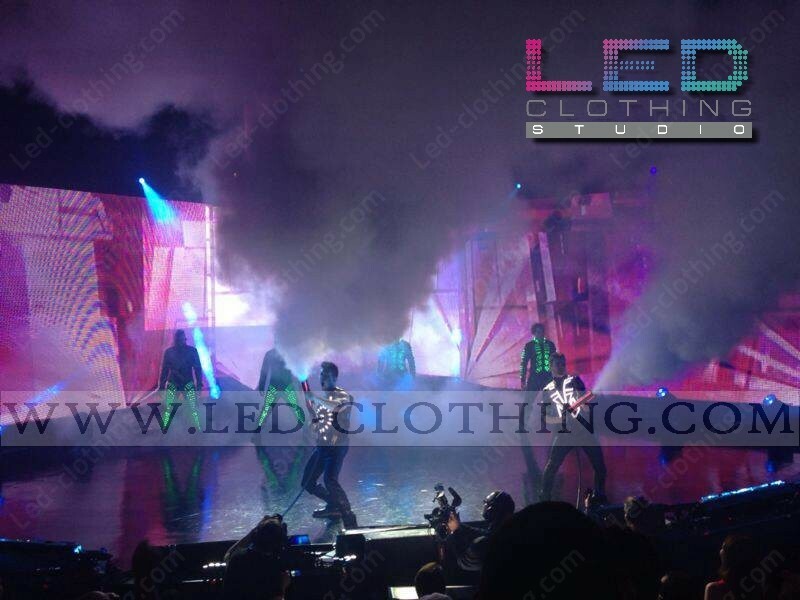 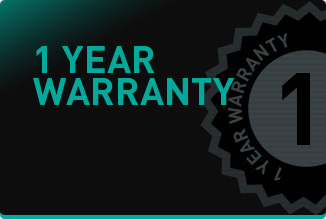 SHOCKproof ultrabright LED bulbs didn't let down when performing an inspiring dance of bachata or energetic reggaeton. 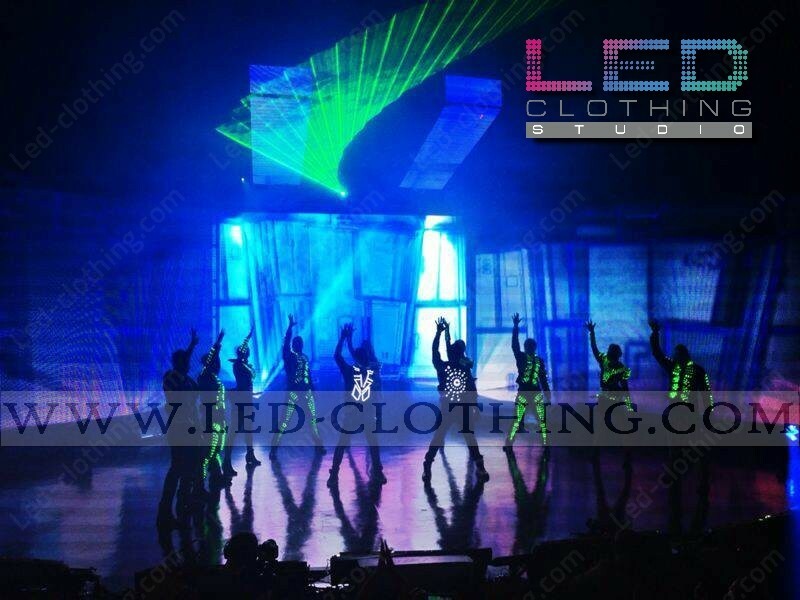 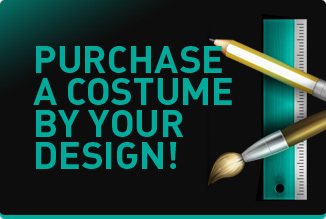 Powered by 10000mAh rechargeable batterie that lasts approximately 4 hours of continuous usage these garments are created to make your show unforgettable and impress the crowd with the number of effects to pull off.